What is Thread Lift ? Sometimes referred to as the ‘non-surgical facelift’, the Thread Lift is a minimally-invasive treatment that lifts sagging areas of the face without the need for sedation or a hospital stay. It is performed under local anaesthetic and takes as little as 30 minutes, with patients able to walk-out and return home a short while after. 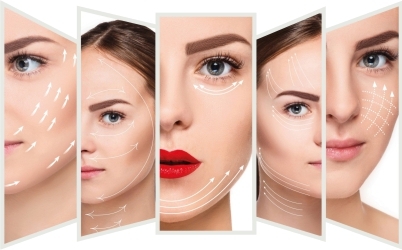 A thread lift can help improve the appearance of sagging cheeks, deep lines and wrinkles, jowls, loss of facial volume, forehead wrinkles and even offer jaw line redefinition. The procedure involves lifting different parts of the face using specialised threads without the need for surgical incisions. The benefits of a thread lift include instant and long lasting results, minimal downtime, an increase in natural collagen production and no stitches required. The Thread Lift (or suture lift) is a revolutionary treatment to tackle sagging skin or lines and wrinkles, without the use of any incisions or surgery. Anchoring sutures are placed under the skin using a fine needle to elevate the sagging tissue and lift problem areas. The treatment can take as little as 30 minutes under local anaesthetic and requires no hospital stay afterwards. The sutures used in the treatment are completely bio-degradable, meaning they will not need to be removed. Their principle component, polylactic acid, encourages the body’s production of collagen, meaning your skin will appear naturally fuller over time, even after the sutures have dissolved. A PDO Thread Lift uses cogged polydioxanone threads which is the same material used in medical stitches which dissolve naturally into the body over time. Before your procedure you will have had local anaesthetic into the area being treated. A small entry point will be made usually near the ear and then fine threads are guided through the skin against the pre-marked contours of the face lifting your skin into a new position. New collagen will develop around the threads which work to keep them in place and provide natural support to the skin once the thread is naturally absorbed by the body. 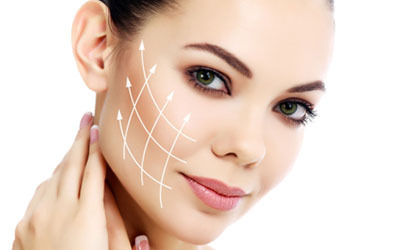 PDO threads are designed to tighten and lift sagging skin and can help to lift the entire face. PDO threads are also particularly effective at adding definition and contouring the lower jaw, eyebrows, neck and cheek. You will notice an immediate result after PDO Thread treatment and this will continue to develop over time as new collagen is produced. The effects of a PDO Thread Lift can last from 6 months up until 2 years. Results after a Silhouette Soft thread lift are instant but results will continue to improve over time as the collagen is stimulated meaning the best results are often seen a few weeks after treatment. The visible effects of the Silhouette Soft thread lift can last up to 18-24 months. Downtime after a Thread Lift treatment is minimal, but you may experience some very slight bruising or swelling in the days following your procedure and some mild tension in the areas that have been elevated. Your doctor will give you individual advice tailored to your lifestyle to ensure your recovery is as quick and easy as possible.